My brother in law happened to be coming back through Mass from a trip to Pennsylvania just as this beer was being released. His timing was perfect and he was in and out in minutes with his six can maximum. I ended up with two cans before he had a chance to drink them all and glad I did. I had one for this review and brought the second to a share in January. 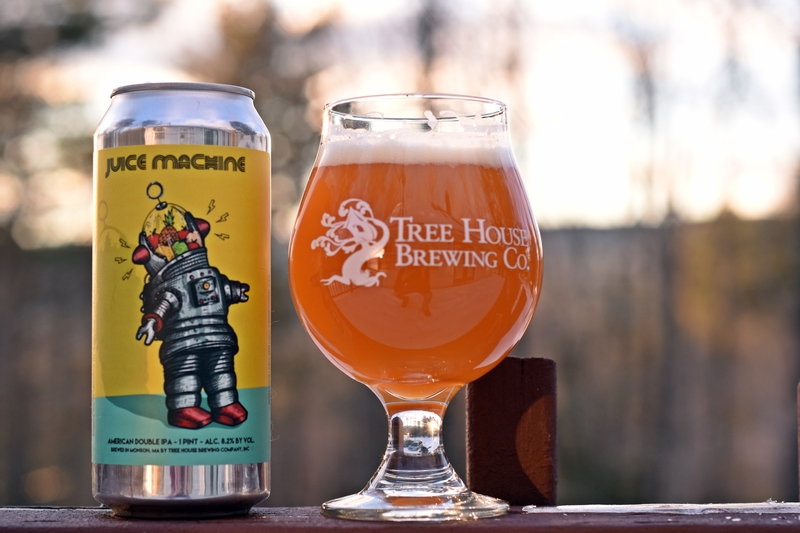 Juice Machine looks much like the previous beers I reviewed from Tree House, cloudy deep orange with a bright white head. Aroma is huge with loads of pineapple, orange, mango – doesn’t smell like beer. Taste follows as it has tons of citrus, grapefruit, pineapple with absolutely no bitterness. Carbonation was light but intentionally so. This beer was superb and one that I could enjoy again and again. It is not your typical double IPA though so don’t expect it to taste like all the other DIPAs you have tried.